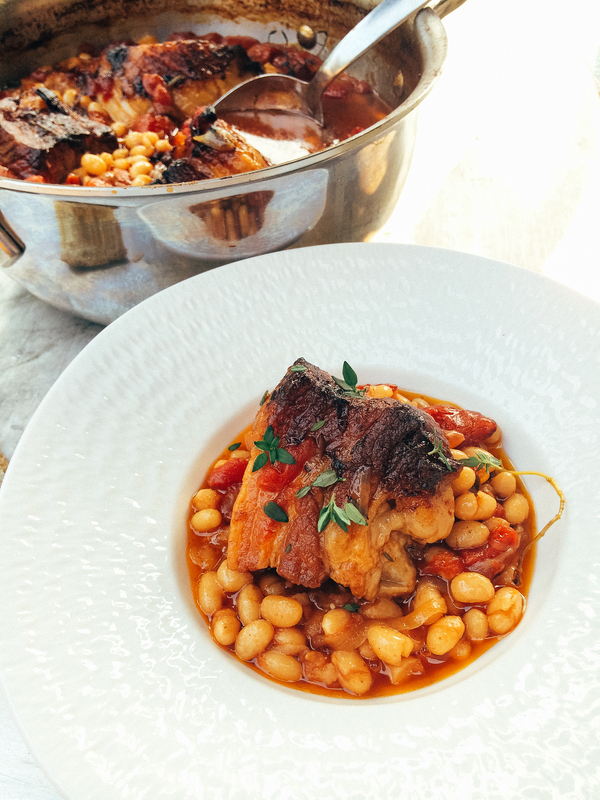 Classic French Cassoulet Recipe - The Co.
Everyone should know a good cassoulet recipe. Not because we all need to know the French classics, but because stewed meat and beans are awesome. At its simplest, cassoulet is a casserole of beans, meat and herbs from southwestern France. It originated during the medieval times as a peasant dish and has gained iconic status in France and around the world. The French are very serious about cassoulet, there’s an Académie Universelle du Cassoulet and an official Cassoulet Trail. This classic French cassoulet recipe is part four of our five-part series on classic French cooking in partnership with All-Clad Canada – we use the 3 qt All Clad Cassoulet pot which is big enough to make 4-6 servings. Don’t miss our Red Wine Braised Short Ribs recipe, How to Cook Duck Breast Like a French Chef or our latest ratatouille recipe which is perfect for those on a gluten-free diet. 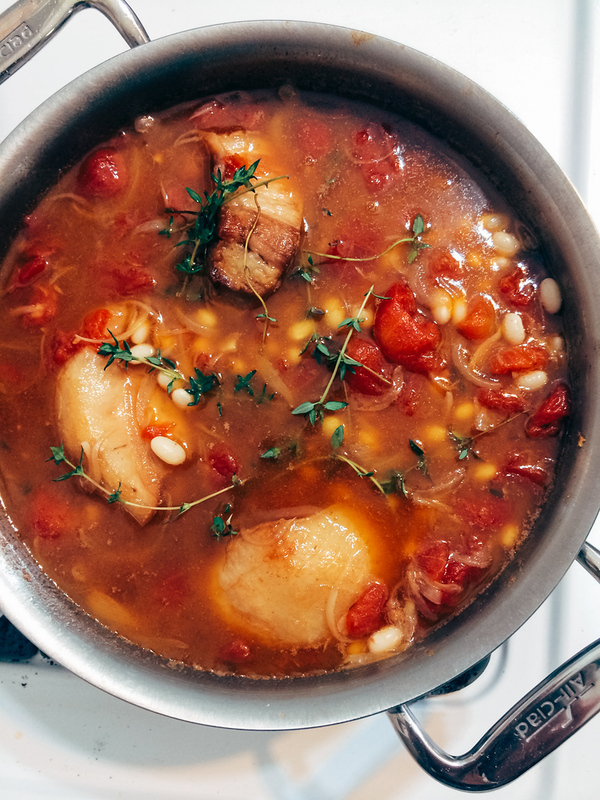 We tend to think of the classic cassoulet recipe being pork and white beans, but it may also include duck, goose or mutton. In fact, white beans aren’t the original ingredient either, they were brought over from Latin America in the 16th century by Christopher Colombus, before then fava beans were used. As for the name? Not surprisingly it’s derived from the deep earthenware cassole baking dish it’s traditionally cooked in. But don’t worry about buying expensive earthenware, to make this recipe at home you simply need oven safe pots. Like most legendary dishes, there’s a lot of fact and fiction. The world capital of cassoulet is Castelnaudary…according to Castelnaudary. Many would like to believe that cassoulet became famous in Castelnaudary during the Hundred Years War as villagers gave all their food to create one dish that would give soldiers sustenance to fight their enemy. Yet the truth is not as combative, the rise of the peasant dish was for economic reasons as women left the farm to become cooks and servants in city homes, bringing the dish with them and incorporating more expensive meat. And although the French are credited with the invention of the dish, the origin of cassoulet is Arabic. Historians have found record of a cookbook with a form of cassoulet and it’s believed it was brought to France in the 7th century. There is no one cassoulet recipe in France, even in the Languedoc region where it is from the three main cities have different recipe: the Castelnaudary cassoulet recipe uses duck confit, pork shoulder and sausage, the Toulouse cassoulet recipe uses duck confit and sausage with a bread crust, the Auch cassoulet uses only duck and goose. For this reason alone the Cassoulet Trail was needed. While this is a low and slow kind of dish it’s so popular in France that you can also buy it canned in a grocery store. Prices range from cheap beans and sausage to more decadent options with duck confit and lamb. Not surprisingly there are many meat and bean stews found around the world – fabada in Spain, l’ollada in Catalonia, pasulj in Balkan countries, feijoada in Brazil and many more. Place pot over medium-high heat, sear pork belly fat side down to render and caramelize, remove from pan and set aside. Place same pot over medium heat, sweat bacon to release fat. Add in onion, carrot, celery, sweat 3 more minutes. Add in garlic and sweat 2 minutes. Add beans, pork belly and all remaining ingredients, except final two (parsley and thyme leaves). Cover with lid and bake at 350F for 2.5-3 hours. Stirring often until beans reach desired tenderness. Skim fat and add freshly chopped parsley. This is an excerpt from the article Classic French Cassoulet Recipe which originally appeared on http://www.baconismagic.ca/. Back to School: Working Parents Beat the Stress!